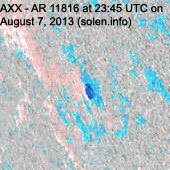 Last major update issued on August 8, 2013 at 05:20 UTC. 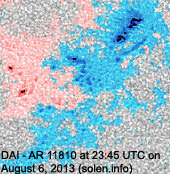 The geomagnetic field was very quiet on August 7. 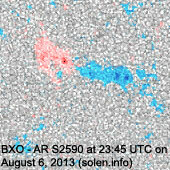 Solar wind speed at SOHO ranged between 350 and 446 km/s. 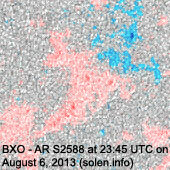 Solar flux measured at 20h UTC on 2.8 GHz was 105.5 (decreasing 7.9 over the last solar rotation). 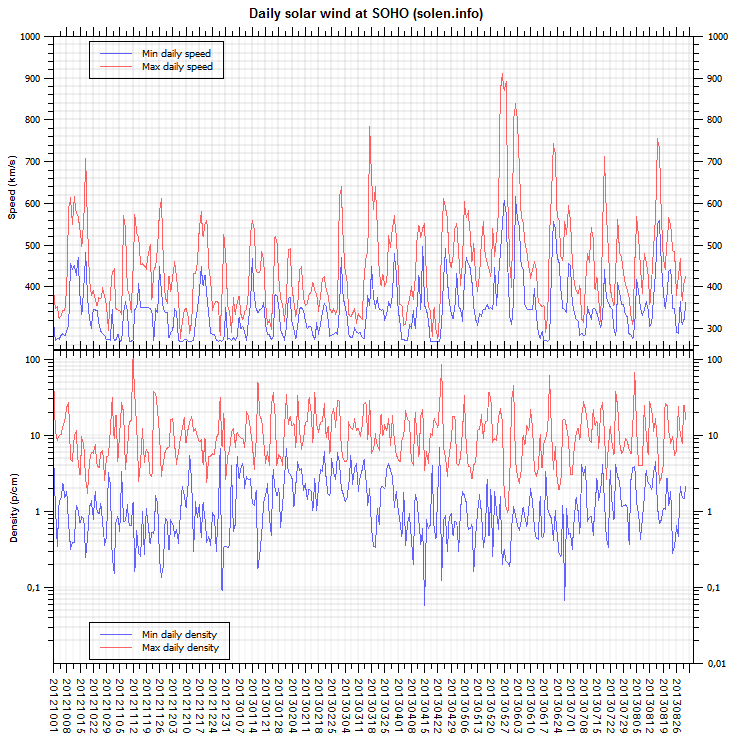 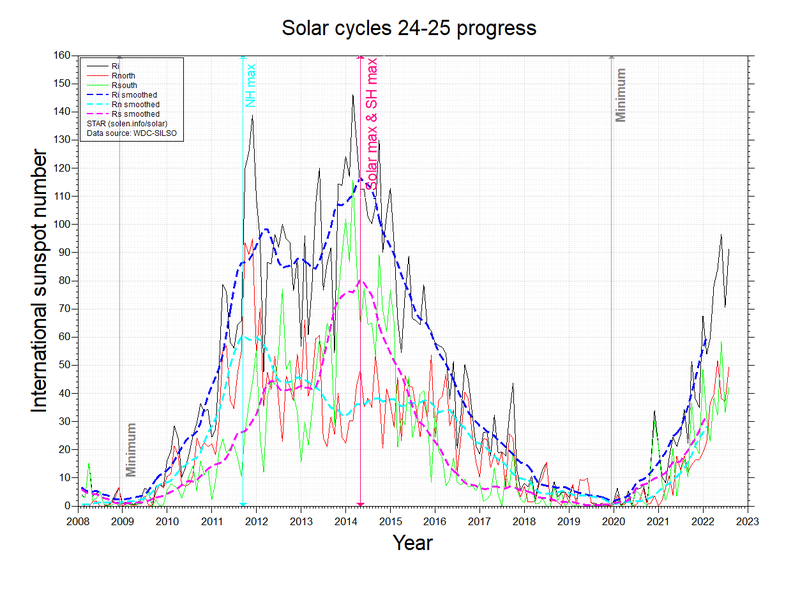 The Potsdam WDC planetary A index was 3 (STAR Ap - based on the mean of three hour interval ap indices: 2.9). 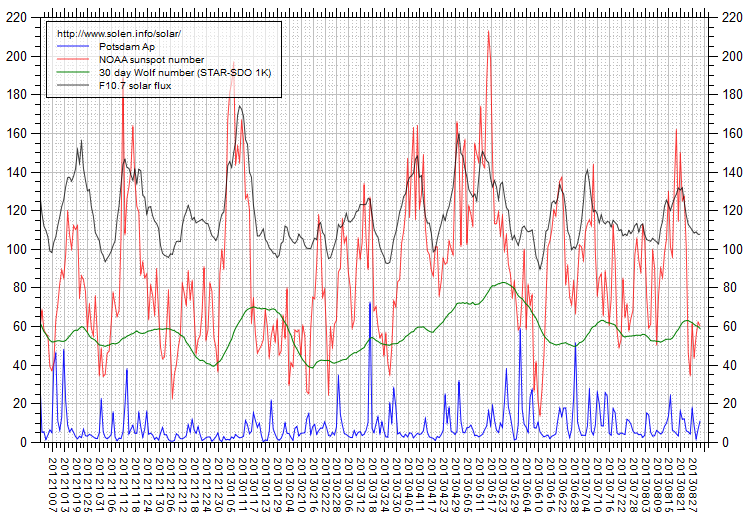 Three hour interval K indices: 11100010 (planetary), 21211211 (Boulder). 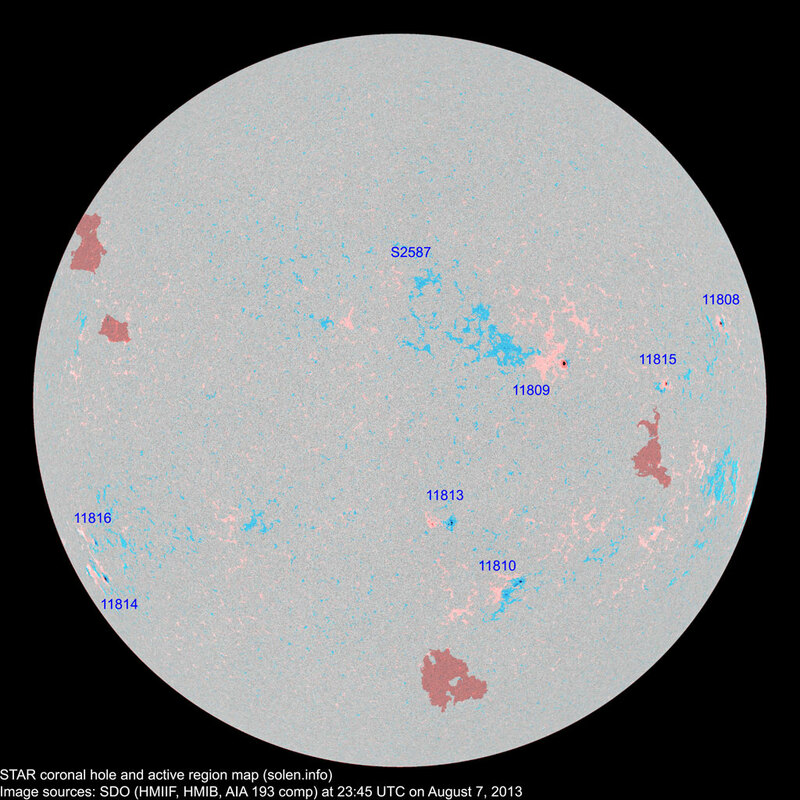 Region 11808 [N14W65] was quiet and stable. 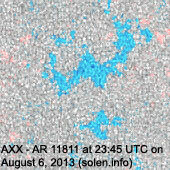 Region 11809 [N11W26] was quiet and stable. 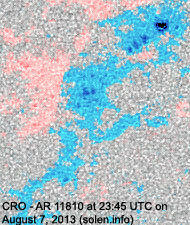 Region 11810 [S25W20] decayed slowly and quietly. 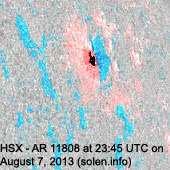 A small CME was observed after a long duration B class event in this region after 15h UTC. 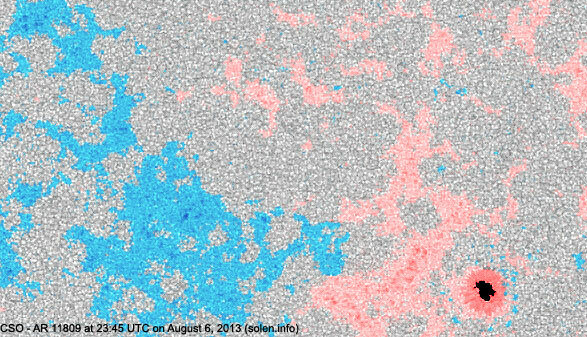 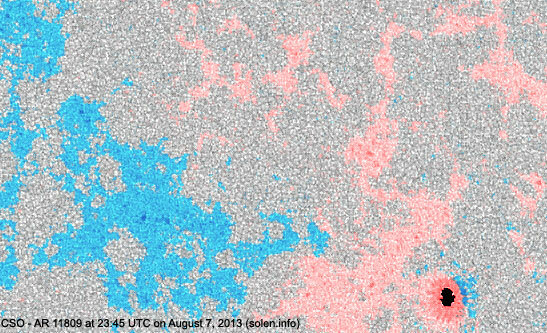 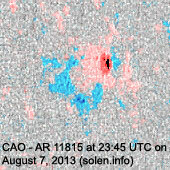 New region 11813 [S13W07] emerged on August 6 and got its NOAA number the next day. 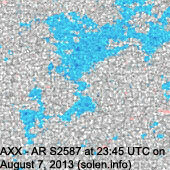 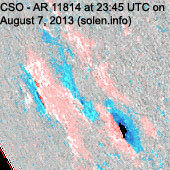 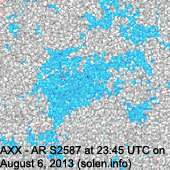 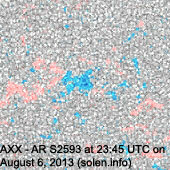 New region 11814 [S27E66] rotated into view on August 6 and was numbered by SWPC the next day. 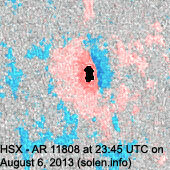 New region 11815 [N06W46] emerged at the eastern edge of AR 11811. 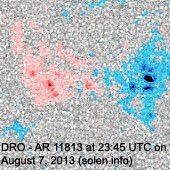 New region 11816 [S20E62] rotated into view on August 6 and was numbered by SWPC one day later. 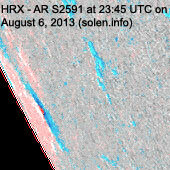 S2587 [N24E08] reemerged with a penumbra spot. 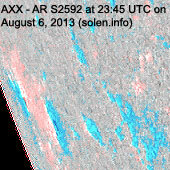 August 5-7: No obviously Earth directed CMEs were observed in LASCO and STEREO imagery. 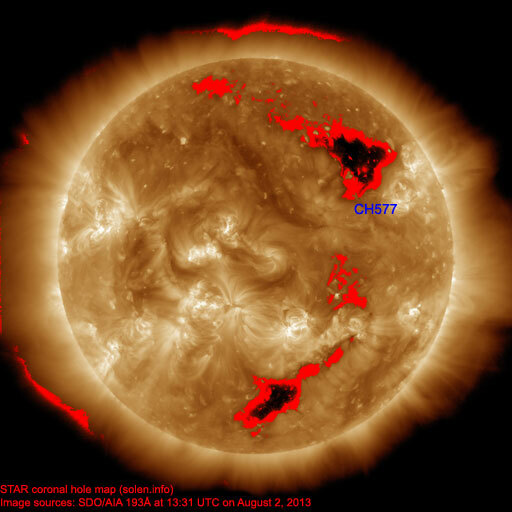 A small trans equatorial coronal hole (CH578) rotated across the central meridian on August 4-5. 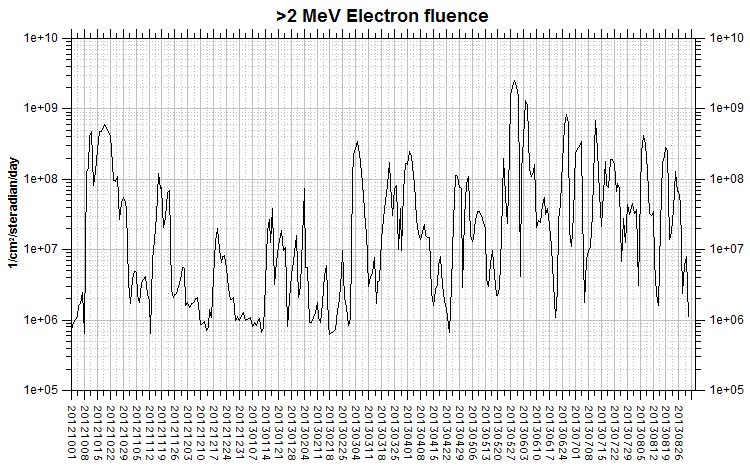 The geomagnetic field is expected to be quiet to unsettled on August 8-9 with a chance of active intervals due to effects from CH578. 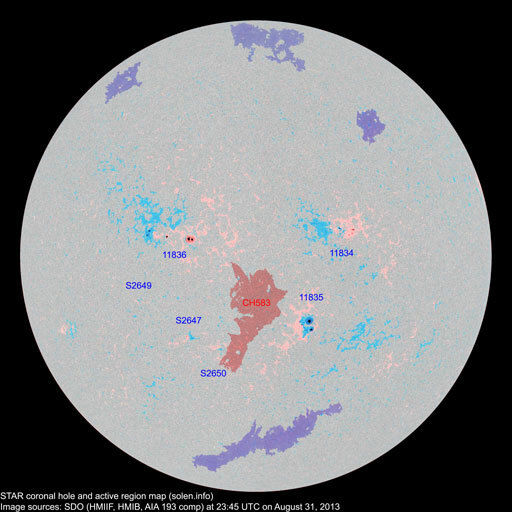 Quiet conditions are likely on August 10-11.